The naked bike from Noale grows in displacement with a new euro 4 twin-cylinder capable of more than 95 hp and 90 nm of torque. New performance combined with an absolutely top shelf frame for a rideability that raises the bar to new heights in the naked sport bike segment. An intuitive, powerful, agile and technological bike is born in the best Aprilia tradition, dedicated to absolute riding pleasure. Also available in the limited 35 kw power version for riders with an a2 driver's license. 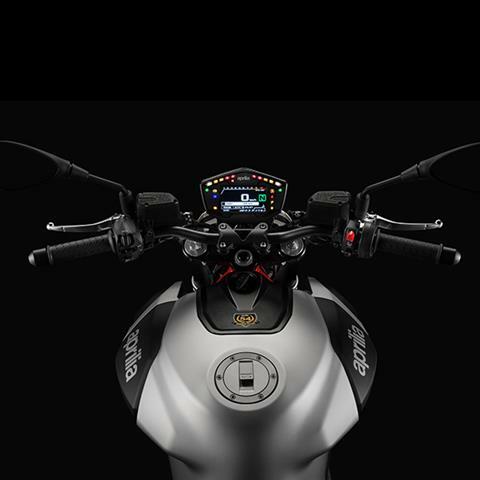 PERFORMANCE: The performance provided by the new engine is perfectly matched to an ultra-fine chassis architecture, easy to ride and intuitive, but at the same time incredibly high performance that, in the best Aprilia tradition, is simply unrivalled in the category. In fact, the mixed steel trellis/aluminium plates frame provides standard-setting stiffness, defines an extremely compact bike and ensures that it is capable of catering to fledgling riders with no problem, as well as enhancing the riding skills of more expert and discerning bikers. This makes flowing routes a favourite playground for the Shiver 900. CHASSIS: As always, Aprilia makes refined mechanics and an excellent chassis structure the winning values on its new bike. 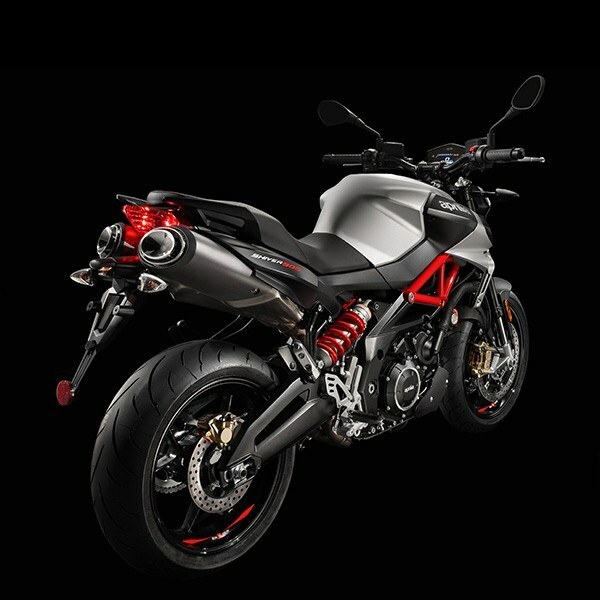 The new Aprilia Shiver 900 evolves the original project of a bike that, from its first appearance on the scene in 2007, marked a turning point as the first factory bike fitted with Ride-by-wire technology to manage engine throttle valve electronics. A technological first from Aprilia derived directly from the racing world, the Aprilia Cube, in fact, was the first MotoGP bike to use this technology in 2002 and since then all of the global manufacturers have followed suit. 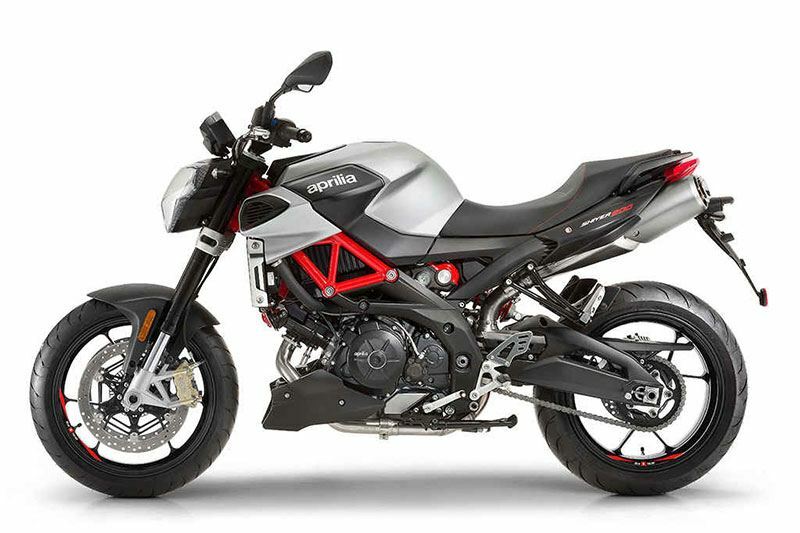 STRUCTURE: The Shiver 900 structure takes advantage of all the proverbial Aprilia know-how where frames are concerned and draws from the on-track experience gained in the Supermoto competitions where Aprilia boasts no less than seven World Titles. The trellis upper part in steel tubing is connected to wide spread aluminium lateral plates using special, high-resistance bolts. The combination formed by these elements forms an extremely stiff and lightweight frame, an extremely rational and excellent solution for reining in all the horses of the new Aprilia V90. AGILITY: The contained longitudinal development of the engine has led to obtaining an agile bike, a feature that also benefits from the choice to position the shock absorber laterally. Thanks to this solution, space was created for the exhaust manifolds that have a shape and volume calibrated to perfection in order to get the best performance from the engine. This has allowed for an optimum exhaust manifold layout, without having a significant impact on the length of the bike and without thermally stressing a fundamental riding element like the shock absorber. SWINGARM: The aluminium alloy swingarm with stiffening truss boasts stiffness values at the top of its category and it is sized to withstand the asymmetrical stress due to the lateral positioning of the shock absorber. SHOCK ABSORBERS: The rear shock absorber, mounted on the side, is pivoted directly to the swingarm, following the cantilever layout and it is adjustable in spring preload and hydraulic rebound. Rear wheel travel is 130 mm. FRONT FORKS: Aprilia Shiver 900 adopts a new 41 mm stanchions Kayaba fork, almost a half kilo lighter than the one mounted on the first version, adjustable in hydraulic rebound damping and spring preload, with chill cast feet to support the radial callipers. The 120 mm travel lets you smoothly tackle urban and mountain routes. The two steering yoke plates are made of forged aluminium. NEW ENGINE: The new Euro 4 engine grows to 900 cc from the 750 cc on the first version. This increase was achieved thanks to the increased stroke that means the power at the shaft exceeds the threshold of 95 HP and, more importantly, significantly increases torque at medium rpms, all to the advantage of pick up power during acceleration and coming out of corners. 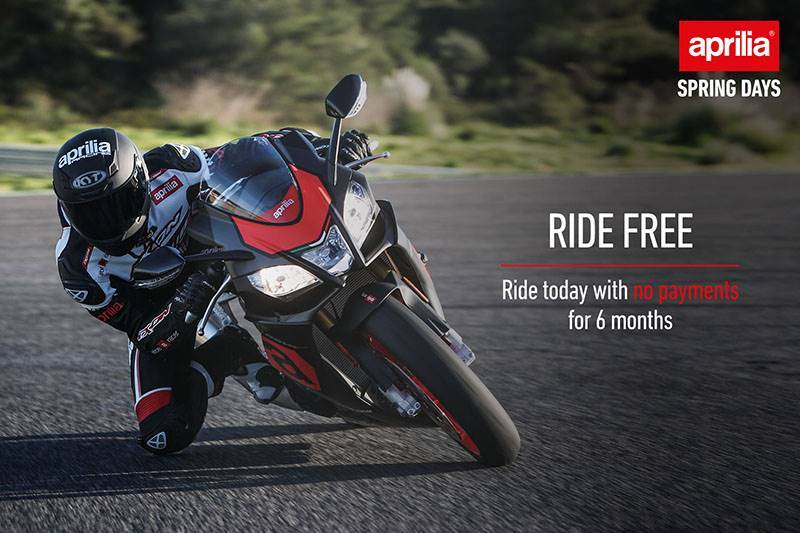 The 90 Nm of torque at 6,500 rpm that are consequently obtained guarantee pure fun in the saddle. EASY RIDE: Aprilia Shiver 900 is an easy bike to ride even for new bikers, accompanying them in their personal evolution of experience in the saddle. This is why there is also a version available with power limited to 35 KW that can be ridden by A2 class license holders. BRAKING SYSTEM: The braking system, equipped with two-channel ABS, implements radial callipers to highlight the sportiness of the project and 320 mm discs on the front. On the rear, a 240 mm disc is gripped by a single-piston calliper. Both the front and rear systems have metal braided brake lines derived from the aeronautic sector, which eliminate the annoying buffering effect of conventional lines and guarantee maximum braking precision. POWERPLANT: The new powerplant maintains the 90 degree angle between the two cylinders, as well as a timing system with four valves per cylinder, dual overhead cam and liquid cooling. On the other hand, it now has a more efficient lubrication circuit and the new Marelli 7SM ECU. ELECTRONIC CONTROL: The new Shiver 900 receives the full benefits of Aprilia's extensive experience in electronic control systems and riding support for which the Aprilia RSV4 - the supersport bike that has won seven World SBK titles (three rider and four manufacturer) in its racing version and that is consistently at the top of its category in the street version - is an unrivalled example. ADVANCED TRACTION CONTROL: Out of this experience and from this Aprilia technological first, the Shiver 900 features an advanced traction control system that guarantees maximum safety, but also pure brilliant riding enjoyment thanks to the dual control that acts on both ignition and on the motorized throttle valves, making its intervention smooth and easy to manage. RIDE-BY-WIRE: The Ride-by-wire feature, that made its début as standard equipment for a factory bike on none other than the first Shiver version, also changes and evolves. On this latest version, the system becomes lighter thanks to a reduction in weight of more than half a kilo. 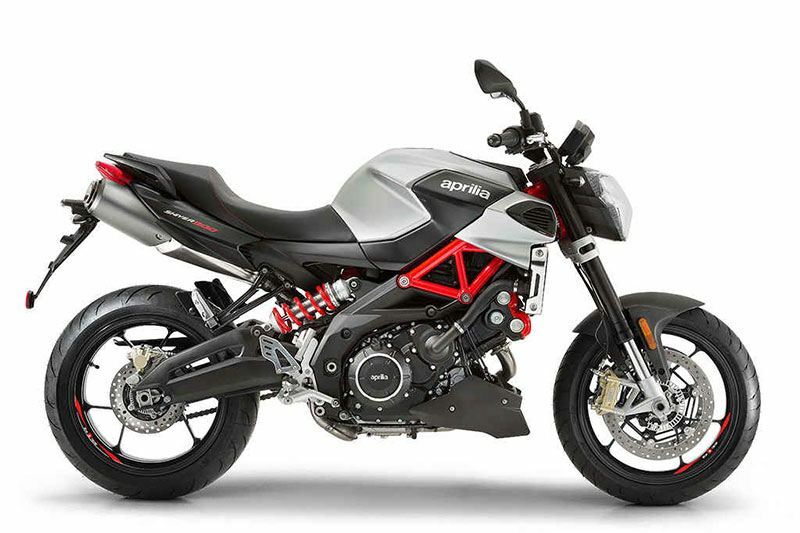 EXHAUST: The exhaust pipes, one of the characterizing aesthetic elements of the Aprilia Shiver with their placement under the saddle to give the side view of the bike an extremely clean look, have been redesigned. They maintain the original position, but the end of the silencer is shorter and directed upward. The exhaust flow is now directed downward and to the side in order to prevent interference with the passenger and to guarantee greater comfort. 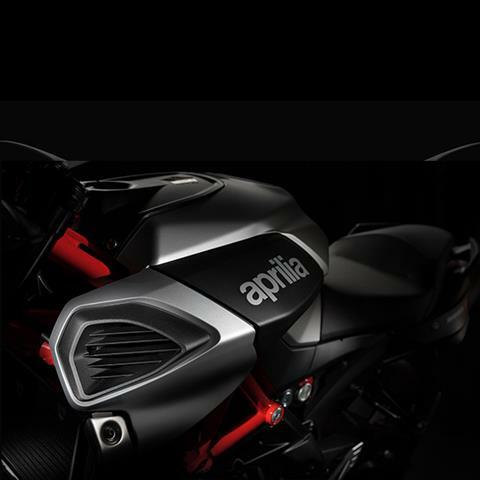 V-TWIN ENGINE: The Aprilia Shiver 900 increases in performance, thanks to the new 900 V-twin engine , capable of increasing, not only the power, but more importantly, the maximum torque delivered at any rpm at top levels for its category. 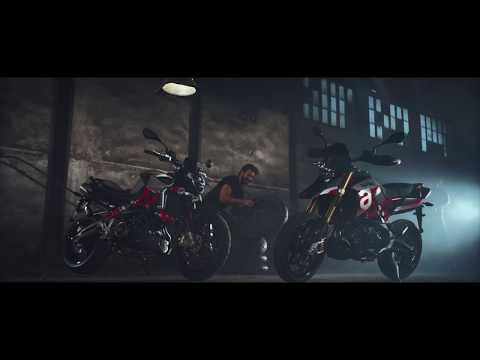 More power and more character that translate into great riding satisfaction without sacrificing the ease and comfort that have always been characteristics of the Aprilia Shiver. 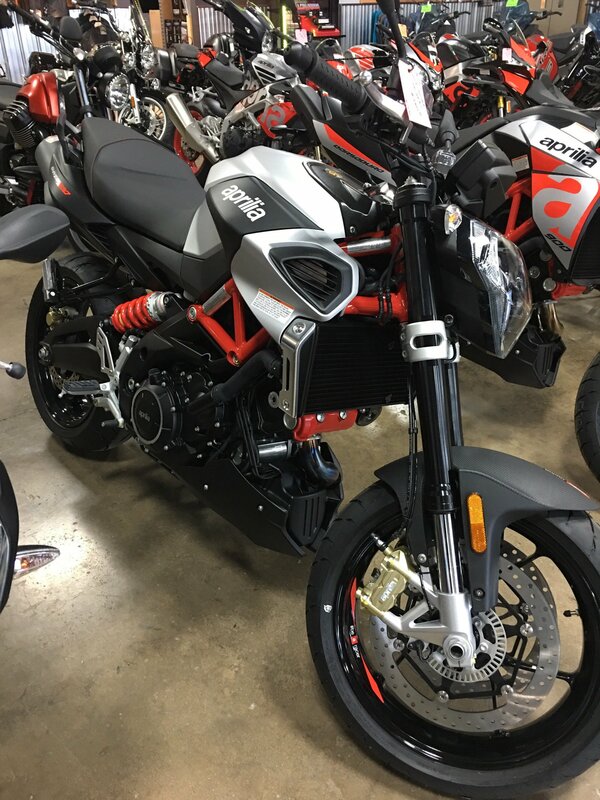 It stems from a bike that has made fledgling and expert riders alike fall in love, thanks to its chassis architecture that, in the best Aprilia tradition, draws on the know-how of a manufacturer that has won 54 world titles in its brief history and that currently has bikes in premier competitions like MotoGP and Superbike. 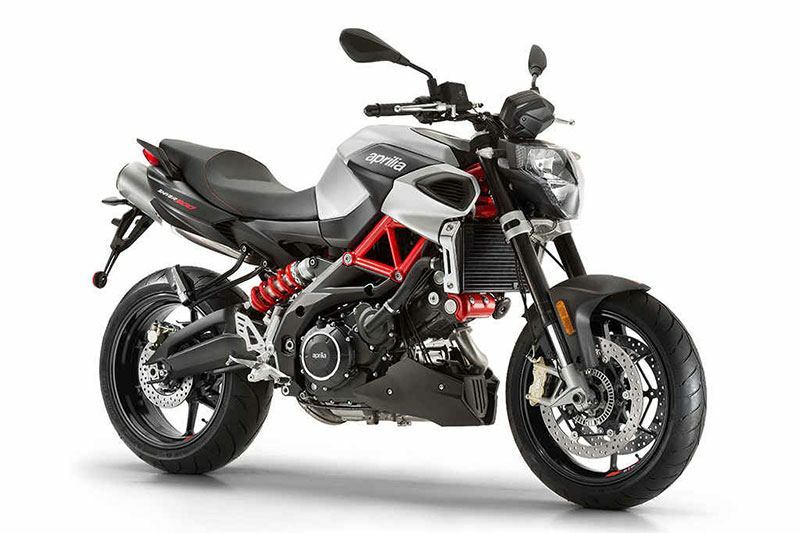 SUPERSTRUCTURES: The new superstructures - side covers on the fuel tank, side panels, tail fairing, front mudguard - that profoundly revamp the aesthetics make the new naked sport bike from Noale stand out at a glance. SPORTY CHARACTER: The new twin cylinder also stands out for its aggressive features that highlight its distinctly sporty character: the wheel rims, the frame, the shock absorber spring and the cylinder head covers are now painted red. INSTRUMENTATION: The instrument cluster is completely new and is now made up of an ultra-modern TFT technology display to ensure that the information is perfectly legible. The large, 4.3” screen (the same one used on the new Aprilia RSV4 and Aprilia Tuono 1100 V4 versions) allows all the on board information to be clear and highly legible at all times, thanks in part to its capacity of adapting the background and font colors based on the conditions detected by the light sensor. CONNECTIVITY: Connectivity with your smartphone, provided as an accessory with the AMP kit, also provides you with all the data related to incoming/current calls on the screen, as well as information related to the use of an intercom or any audio files that you may be playing.